People can get involved in supporting the iPod Pharmacy by: either simply sending us their old iPods or collecting iPods within their local community individually, or even by setting up local iPod Pharmacy teams and depots. Local depots will be supported by Chiltern Music Therapy with posters and marketing materials (see our website). Additionally, you can support by donating money to be used for iTunes vouchers to allow CMT to purchase songs and create personalise playlists for patients. The UK iPod Pharmacy scheme involves people donating their used iPods. These are reconditioned and loaded with personalised playlists for music therapists to loan out to their patients & clients. This includes children and adults receiving treatment in hospital, or to the elderly in care homes with little or no access to technology and music. 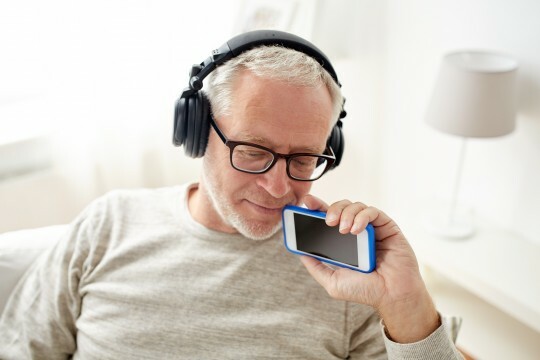 For every used iPod donated, a person's daily struggle with their condition can be made that little bit better; their mind can be taken off their treatment or pain, and their overall well-being aided simply by listening to their favourite music. Just imagine this: 100 old iPods donated = 100 patients' lives improved. It really is that simple!